I didn't take a picture of Saturday's dinner, but Sunday dinner more than made up for it. My brother helped my mom make an ancho chili sauce to cover the pork. Basically, it's a very simple sauce to make and makes you wonder why you used anything else. 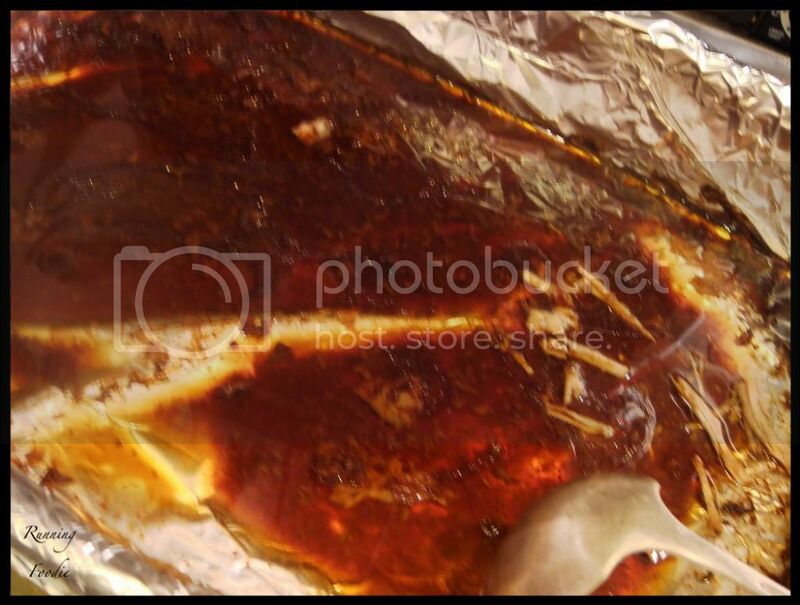 After marinating the pork for a few hours, it was then cooked on low for another few hours until it's so tender that it falls apart with a gentle prodding of a fork. The pan sauce? It was incredible. 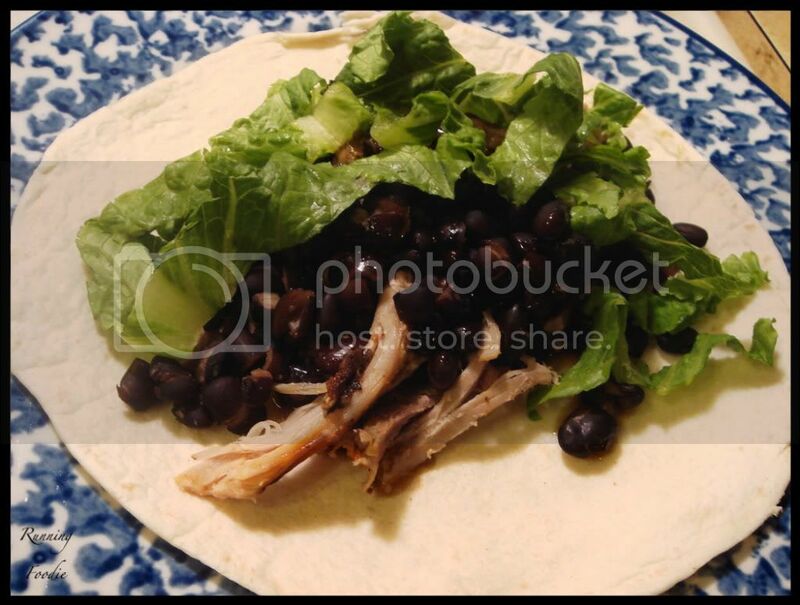 We ate the pork in burritos with black beans, the ancho pork sauce, and lettuce in very warm flour tortillas. Yum! This looks delicious. 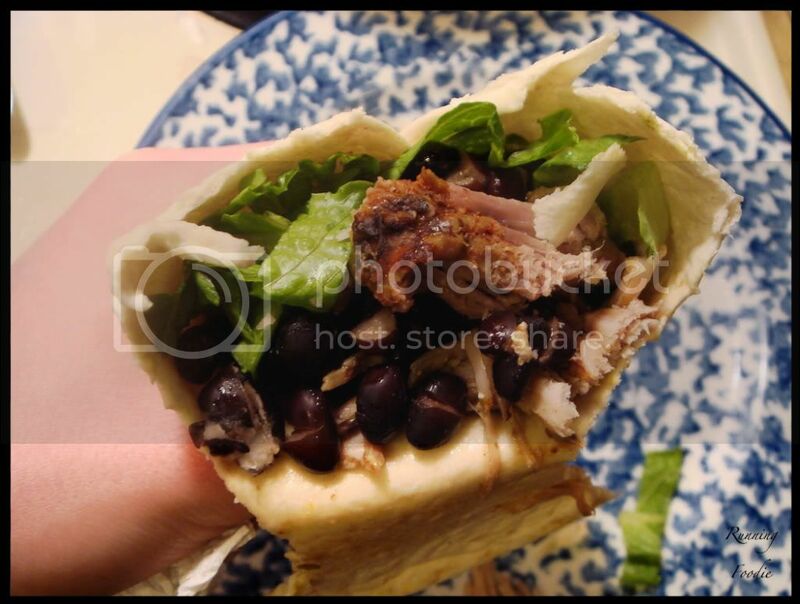 I love pork and black beans. Sooooo satisfying! I love pork! Great wrap there. I also love running. 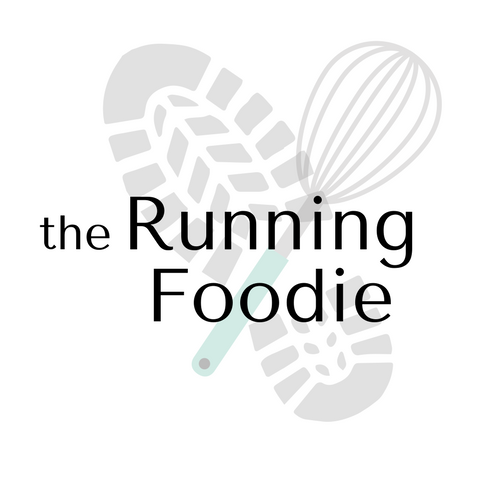 I've added you to my blog list on my cooking blog. Looking forward to reading more. 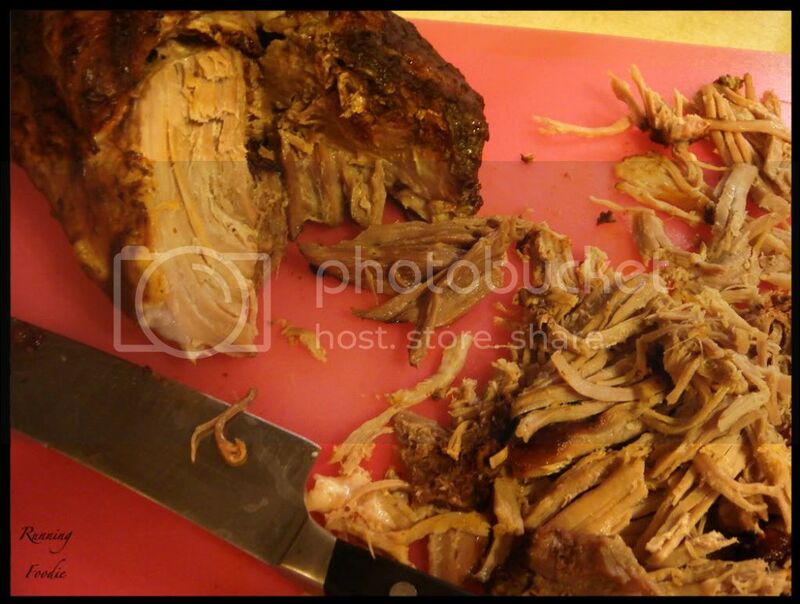 That looks so so good, I absolutely love slow roast pork. mmm...that makes me hungry! It seems very close to carne asada.